The foldable smartphone is upon us! 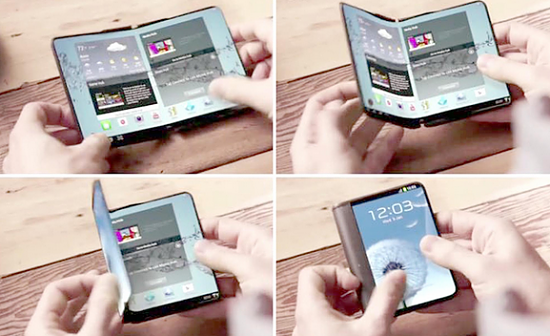 Samsung is rumored to launch its first bendable phone, codename “Project Valley”, in the following year. The designs look promising but will the company succeed in bringing the technology to consumer product? The rumors are spreading like wildfire! The next big smartphone trend is right around the corner, so close you could almost feel the air thickening with expectation. The foldable smartphone that Samsung's been working on for the last few years could soon become a reality. Ever since the CES conference back in 2013 Samsung has been teasing consumers with the idea of bendable phone displays, which would change radically their everyday mobile experience. Samsung Electronics Co. is said to be hard at work on the development of two smartphone models that will feature bendable AMOLED screens, using organic light-emitting diodes. Using the advanced display technology may help the company recapture customers from Apple and boost earnings that have slumped for the past two years. After using OLED on its premium devices, Samsung is counting on the technology to once again win supply orders. The displays are thinner, have brighter colors and are less draining on the battery than those in most current phones. 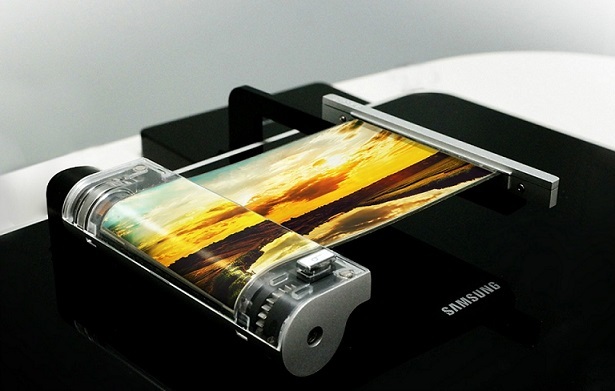 If Samsung succeeds in creating a suitable user interface for bendable screens, this new product could be a game-changer for the mobile market. The first model is said to look like a small compact remote which unfurls like a tablet-sized 8-inch panel. When folded the device will still have enough screen size to display notifications and to scan through news feeds. This neat design could end the dilemma between having a pocket-sized smart device and a nice big screen to enjoy pixel perfect colors on. What’s more the expanded display will be able to bend with ease, meaning it will be the world’s most flexible phone and probably the hardest one to break. This sounds like a great combo of functionality and design for the next generation of phablets. Although the first model is probably a bit futuristic for the average consumer’s taste, the second one is looking extremely promising, since the design resembles a REAL notebook and will most likely be adored by many. The device will fold in half like a small book, while having another display on the front for quick browsing and updates. Mobile users who remember and love the feeling of holding a notebook will be easily engulfed in the unique experience this phone will have to offer. Who said flip-phone are out of style? Bloomberg sources suggest that Samsung could unveil one or both of the devices as soon as February 2017, when Mobile World Congress takes place in Barcelona. The release of the devices is exciting enough, however, what we are eager to see is how the technology innovation will disrupt the mobile market and expand the boundaries of app development. Without a doubt these new revolutionary products will be a game changer for developers across all platforms and provide them with endless possibilities for new functionalities, original UI/UX designs and mesmerizing app features.